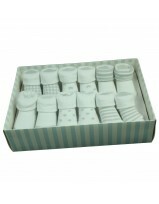 Get this adorable baby socks gift set for the next christening or baby shower. 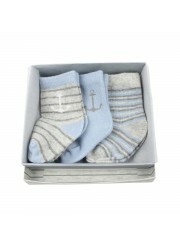 Pair of 6 socks comes beautifully wrapped in a gift set box. Available in pink for girls, blue for boys and gray for little surprises! Size : For 0-12 months.